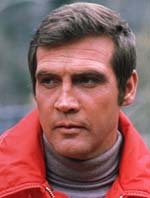 Claim To Fame: Lee Majors is an American film, television and voice actor. Majors is best known for portraying the characters of Heath Barkley on the Western series The Big Valley (1965-1969), Colonel Steve Austin The Six Million Dollar Man (1973-1978), and Colt Seavers in the action series The Fall Guy (1981-1986). Family Life: Majors was married to Thelma Kathleen Robinson from 1961-1965, they had 1 child together. Majors married Farrah Fawcett in 1973 and then divorced in 1982. Karen Velez became Mrs. Majors in 1988 until their divorce in 1994, they have three children together. Today, Lee is happily married to Faith Majors, and has been since 2002. Info: Graduated from Eastern Kentucky College with a degree in History and Physical Education. He later received an honorary doctorate form the university in 2006. As mentioned above Lee has enjoyed a success that is rare in Hollywood. Three different series that have been hits in three different decades. 'The Six Million Dollar Man' continues to be a popular show in syndication around the world and there is even talk of Jim Carrey playing Steve Austin in a big screen version of the hit 70's show. Trivia: Paul Newman and James Dean are his idols. Credits Barbara Stanwyck as his favorite acting mentor/best friend. 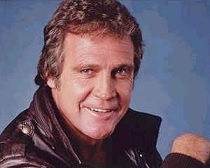 The 1973 song "Midnight Train to Georgia" was inspired by Lee Majors and Farrah Fawcett. Lee sang the theme song to his 'Fall Guy' series. Turned down an offer to play with the St Louis Cardinals to pursue acting career. Turned down the Mac Davis role in 'North Dallas Forty' in favor of an independent production that never got off the ground. Landed the role of Joe Buck in 'Midnight Cowboy' but "The Big Valley" (1965) was picked up for another year and was contractually obligated to pass on the role, which was then made famous by Jon Voight. Starred concurrently in two TV shows at the same time. Playing Jess Brandon in "Owen Marshall: Counselor at Law" (1971) and Colonel Steve Austin in The Six Million Dollar Man. His cousin Johnny Majors was the 1956 Heisman Trophy runner-up at Tennessee, and became a great college football coach; from 1968-96 he coached at Iowa State, Pittsburgh, and Tennessee, winning the 1976 national championship with Pittsburgh. Signature exclamation as Heath in The Big Valley was "Boy, Howdy!" In 1976 Lee Majors and Farrah Fawcett made TV history. They were the first husband and wife each starring in separate top rated shows. 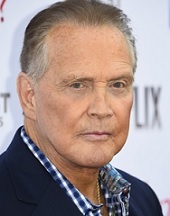 Prior to getting his big break, Lee Majors was the limo driver for producer Jim Barnett, the man who created the TV show "World Championship Wrestling." Where Are They Now: Majors and his career hasn't slowed down a bit. He's currently filming the TV Movie 'Bicycle' with Joan Severance.